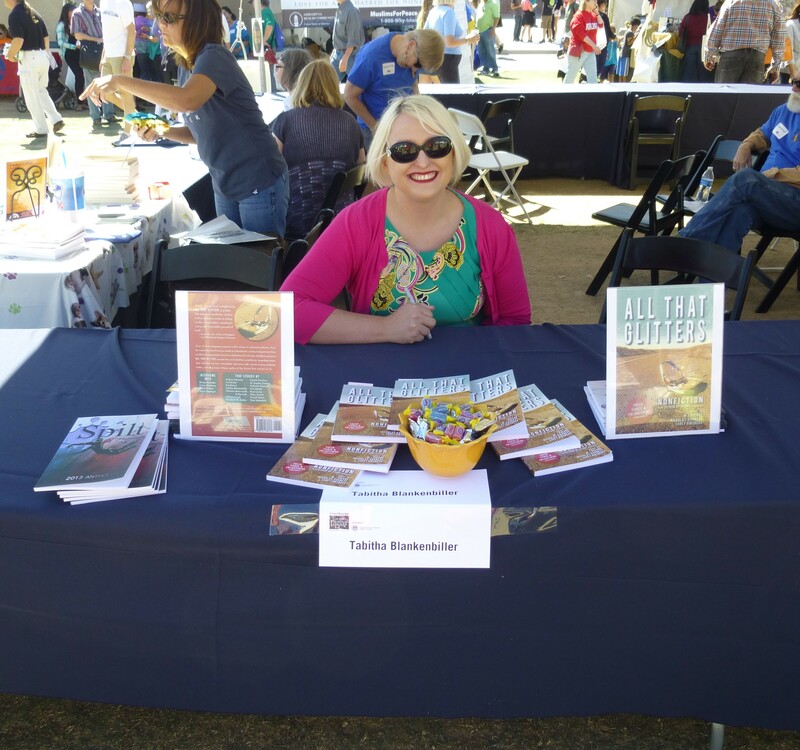 On March 15-16, “All That Glitters” went to the Tucson Festival of Books! The anthology was available for sale at the Author Pavilion, at the booth of contributor Tabitha Blankenbiller. Tabitha is an essayist and graduate of the Pacific University MFA program whose work has appeared in journals including Barrelhouse, Hobart, and Brevity. She is a regular contributor at PDXX Collective and Spectrum Culture, and her memoir-in-essays, “Paper Bag,” is forthcoming.